Chinese Motor Group May Not Be Buying Jeep After All? Just one day after reports surfaced that China’s leading SUV maker, Great Wall Motor Co., was considering the acquisition of Fiat Chrysler Automobiles’ Jeep brand, it is signaling it may not be ready to make a bid, after all. On Monday, news reports quoted several Great Wall officials indicating their interest in Jeep, an icon of the sport-utility market. But a day later, the Chinese manufacturer is signaling there are “big uncertainties” as to whether it will move forward, Bloomberg reported Tuesday. For its part, FCA officials have said they have not been approached by the Chinese company. Fiat Chrysler CEO Sergio Marchionne has long been expressing an interest in finding a partner, though he has been rejected by a number of Western competitors, including General Motors and Volkswagen. A month ago, Marchionne raised speculation further when he responded, “Yes,” when an automotive analyst asked if FCA might be willing to just sell off its Jeep or Ram brands. Those two marques are the company’s crown jewels, largely as a result of booming global demand for SUVs and the revival of the U.S. pickup truck segment. While Jeep sales tumbled about 13 percent in the U.S. during the first seven months of 2017, analysts chalk that up to the brand’s aggressive product roll-out plans. FCA is currently relaunching production at a Jeep plant in Illinois and will soon bring its flagship factory in Toledo, Ohio back online to produce an all-new version of the Jeep Wrangler. Among other products in the pipeline, Jeep will get its first pickup in decades, as well as the full-size Wagoneer. By the end of next year, Jeep is targeting global sales of 2 million vehicles, a nearly four-fold increase from the start of the five-year FCA plan wrapping up in 2018. Related: What’s Gone Wrong With Jeep? But analysts have questioned whether the U.S. automaker would actually bite on a bid that would strip away its most value asset. Even if FCA kept Ram, it would lose not only its primary SUV brand, but also its well-honed utility vehicles development team. That would pose serious problems for what remained of the Euro-American carmaker. Other brands, notably Dodge, Maserati, and Alfa-Romeo, are shifting their own product mixes to take advantage of the global SUV boom. There’s also the question of how regulators might respond to a Chinese bid, especially at a time when President Donald Trump has been raising the specter of a trade war with the Asian giant. Any such deal would have to pass muster in a number of separate venues. Fiat Chrysler Automobiles is registered in the Netherlands, though it has its official headquarters in London. Functionally, it maintains two centers to run day-to-day operations, including Fiat’s old HQ in Turin, Italy, as well as the sprawling Chrysler complex in the Detroit suburb of Auburn Hills. A sale would thus face scrutiny in China, Europe and the United States. And the latter could take a skeptical look at any such venture, especially if it were seen as a move to help the Chinese enter the U.S., a market they have unsuccessfully struggled to crack for more than a decade. Only a handful of vehicles are currently shipped to the U.S. from China, including a stretch Volvo sedan and a Buick SUV. But Ford recently announced plans to move production of its compact Focus model to China, as well. On Monday, the Associated Press reported that it was told by Zhao Lijia, a spokesman for the Chinese automaker’s Haval brand, that Great Wall “has this intention” of making a bid for at least part of FCA, while the wire service quotes another media relations executive as adding, “Yes, we are interested in Jeep.” Separately, Reuters quoted an unnamed Great Wall official as telling it, “With respect to this case, we currently have an intention to acquire. 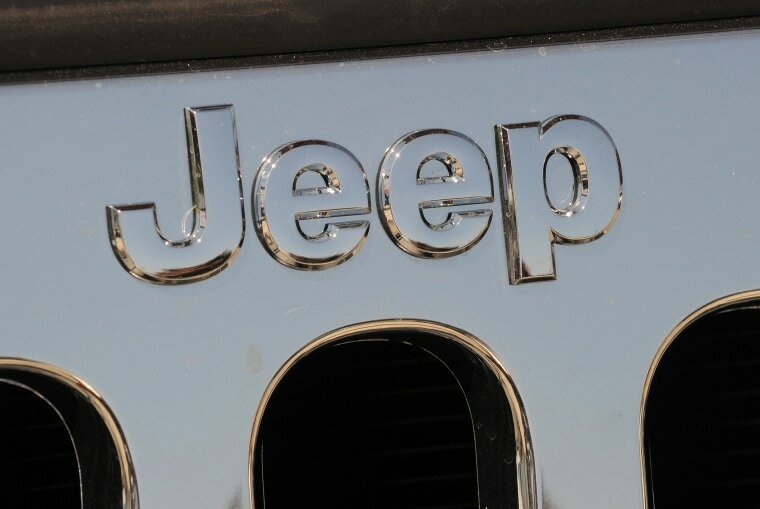 We are interested.” Subsequent reports appeared to indicate any bid would focus specifically on Jeep. For its part, Fiat Chrysler issued a statement Monday morning that said, “it has not been approached by Great Wall Motors in connection with the Jeep brand or any other matter relating to its business.” The statement added that the Euro-American automaker was “fully committed” to its current five-year business plan, which runs through 2018.